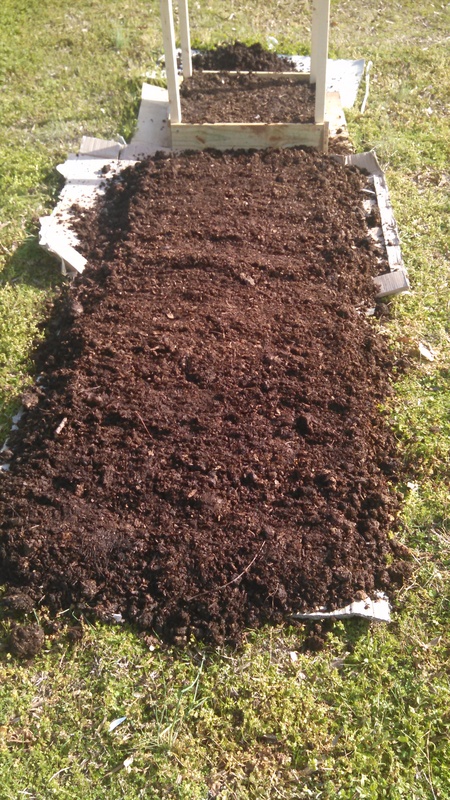 Now that i got the delivery of 5 cubic yards of well composted horse manure, planting can continue. I am a bit late for some of these plants, but they should grow OK. I planted several rows of kale today, in the yard next to the potatoes. They are older seeds, but I think they will grow OK.